The Unity Tour Spin Fundraiser was held at Gold’s Gym in Flanders Sat., April 9. Money raised goes towards the Unity Tour. 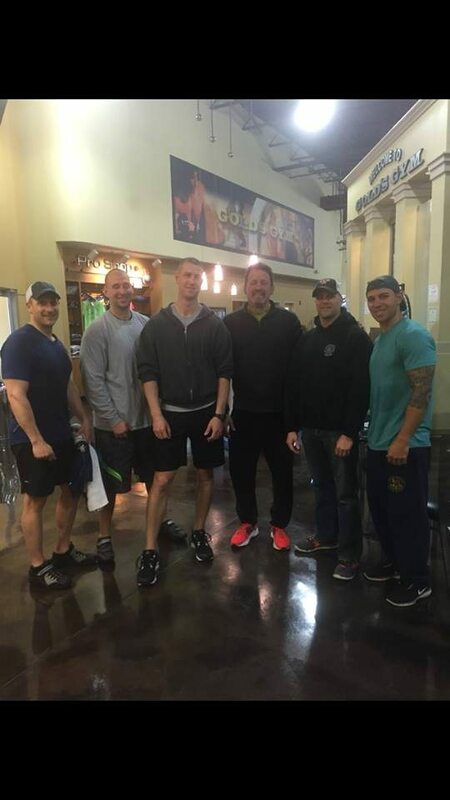 Thank you Ron Noonan owner of Gold’s Gym Flanders and Hackettstown and Loren O’Dell the spinning instructor. Pictured, from left, is Detective Corporal Craig Casaletto, Officer Chad Rossi, Officer Chris Saunders, Mayor Rob Greenbaum, Officer Lonnie Elbaum and Officer Michael Carletta.